Eurostar, France, Paris, je t'adore!, Travel - bon voyage!, Vive la France! **Health Warning: some parts of this post are love-struck and sentimental. Should you still decide to continue reading this, please ensure that your anti-nausea medication is to hand. 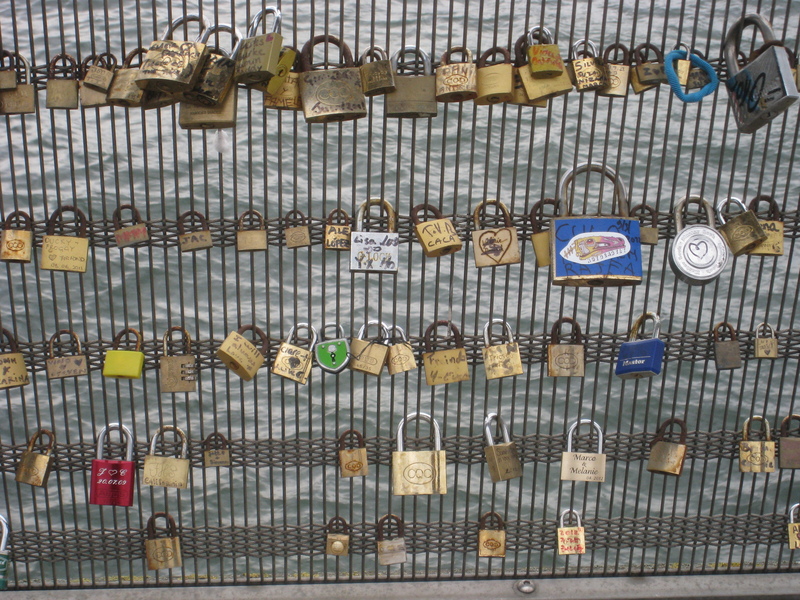 Most of the locks have names on them. I wonder who all these people are and where they live. Please don’t shoot me for saying this, but I also wonder how many of these couples have now broken up and purchased new locks for new loves. I’d also like to know what happens to the keys. Do people throw them into the Seine? Or keep one each to wear close to their hearts? Or hide them in a keepsake box? Curiouser and curiouser! says Epic. 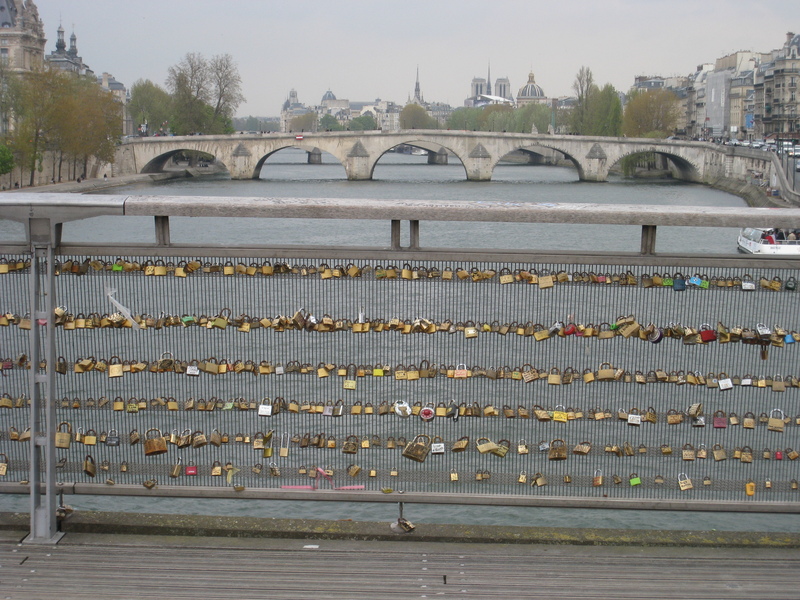 I’m tempted to take a lock with us on our next visit to Paris, although on telling Monsieur of my sentimental plan he rolled his eyes and told me that I’m hopelessly corny. Then, whilst pondering our marriage of romantic opposites I was almost run over by a Segway tour. I think Segways are pretty cool, but when you see twenty Segway riders in an orderly row, all wearing safety helmets and staring straight ahead, there’s something quite unnerving about it, like stepping into the parallel universe of Buck Rogers in the 25th Century with the Louvre in the background. Wrong. Really, quite wrong. Before returning to romantic daydreams I make the resolution never to take a Segway tour in Paris. Besides, a bit of exercise never did anyone any harm, and walkers don’t tend to mow you down on a FOOTpath, interrupting the softest of thoughts. This sort of thing makes me wonder what other silly/romantic stuff people have done over the centuries. Imagine some archeologist eight-hundred years from now finding six thousand padlocks at the bottom of what was the Seine and trying to explain it. Hello, stranger! I love the image of the future archaeologist digging up hundreds of locks and wondering what they were for. Chastity belts are another potential option there (feeling wicked today).